Whether you’re planning a family event or are just the lucky individual who volunteered to organize the company retreat, finding the perfect venue for your small group can be daunting, especially if food is involved. 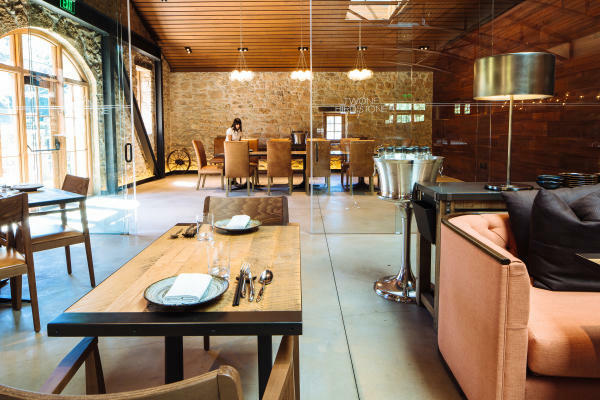 Fortunately, the Napa Valley is filled with hotels and restaurants that are perfectly positioned to host your event with a minimum of effort and plenty of good taste – both visual and culinary. Here are a few to consider. Archer Hotel. 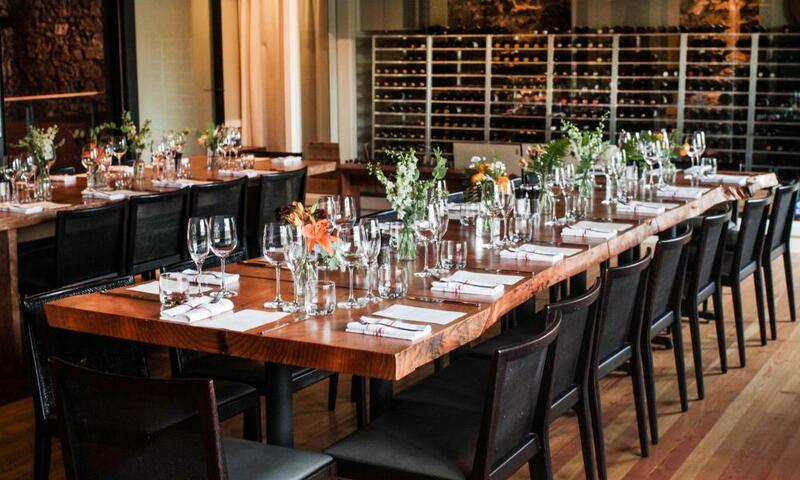 This brand-new venue in downtown Napa offers a range of meeting areas, an on-site meeting specialist, staging services, customized menus, special hospitality suites for VIPs, welcome amenities, local partner recommendations for flowers, group activities, entertainment, rentals and other services. Two Birds/One Stone. This St. Helena restaurant features California-inspired yakitori cuisine by chefs Sang Yoon and Douglas Keane. The private dining room seats up to 48 guests and offers floor-to-ceiling glass doors, natural sunlight, wood tables, and a courtyard with strand lighting and fountain. 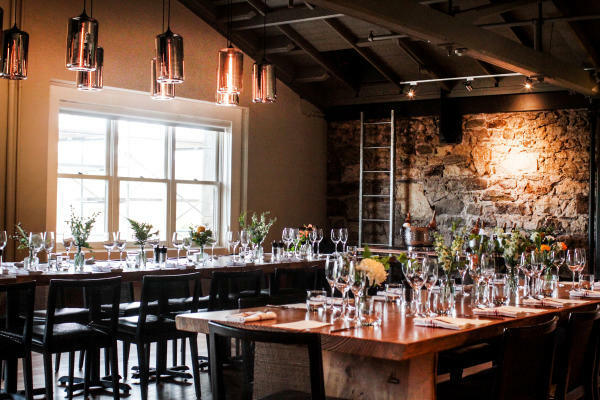 The main dining room features high ceilings with a skylight, metal beams, stone walls, and beautiful windows and can accommodate up to 150 seated guests. The patio, which can seat up to 38, is a perfect pre-function space offering an extensive outdoor lounge area with a fireplace, built-in grill, and bar with full liquor license. Tarla Mediterranean Bar and Grill. 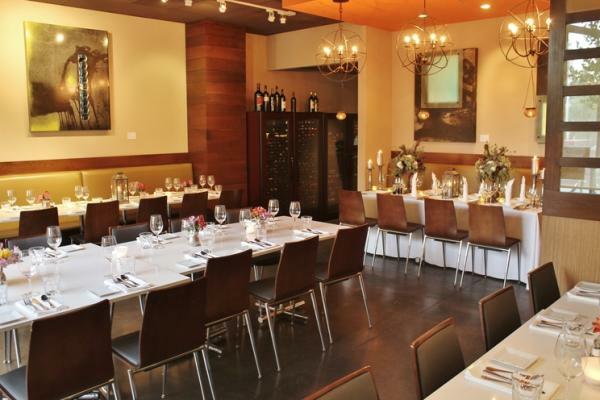 Located right in downtown Napa, Tarla is a full-service restaurant with both main and private dining rooms and a full bar. It offers full catering and a family-style menu of Mediterranean and Middle Eastern dishes from which you can choose a group menu. The private room comfortably accommodates between 45 and 50 people, the main dining area seats 46 including the bar, and the patio seats 14. Meadowood Napa Valley. At this Relais & Chateaux resort, wooded knolls and rolling lawns provide the backdrop for productive and energetic meetings. The hotel offers team-building activities including cooking- and cocktail-making classes; wine experiences with an estate sommelier; croquet; and golf tournaments on the nine-hole course or utilizing the latest Trackman software in the golf studio. The culinary team creates wine-country cuisine with ingredients fresh from the estate garden or you can take the Meadowood experience to one of the local wineries for a private dinner in a cave, barrel room, or garden as part of the meeting program. The Mount View Hotel. This historic Calistoga hotel features the Indie Lounge, located just off the lobby. With 350 square feet, it can seat up to 22 people and can be set up in a conference, dining, or cocktail format. Catering is available from the on-site JoLe Restaurant, and there’s a flat per diem rate with complimentary beverage service. Free Wi-Fi and speakerphone are also provided, as well as a large-screen television with HDMI and surround-sound. There are other à la carte options, including chair massage. And there’s a larger, off-site event space within walking distance that also can be customized for your event. Calistoga Spa Hot Springs. 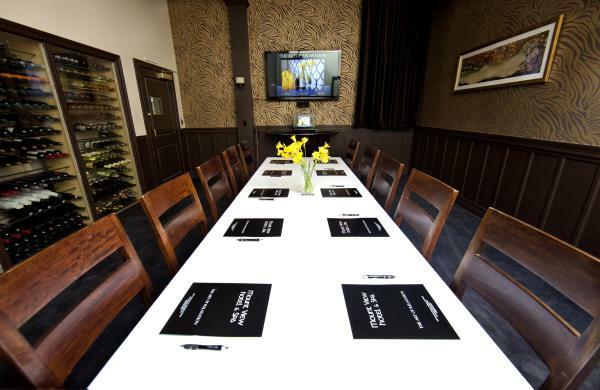 This hotel and spa offers 1,250 square feet of meeting space that can accommodate up to 40 people. 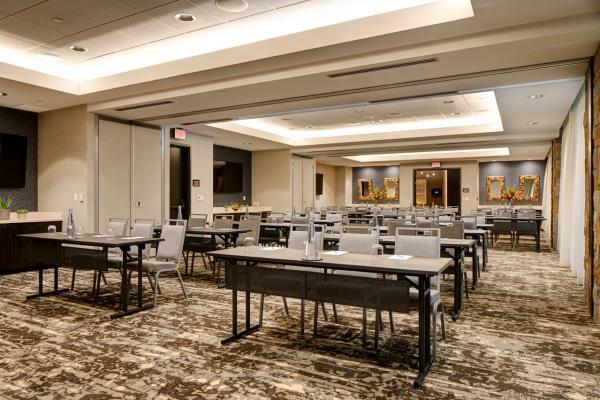 Its Palisades meeting room includes complimentary Wi-Fi, an 80-inch flat-screen monitor pre-wired to accept HDMI and other connections, a full kitchen, fireplace, wet bar, and an outdoor patio with a barbecue grill. Groups also receive discounts on accommodations when blocks of guestrooms are reserved. 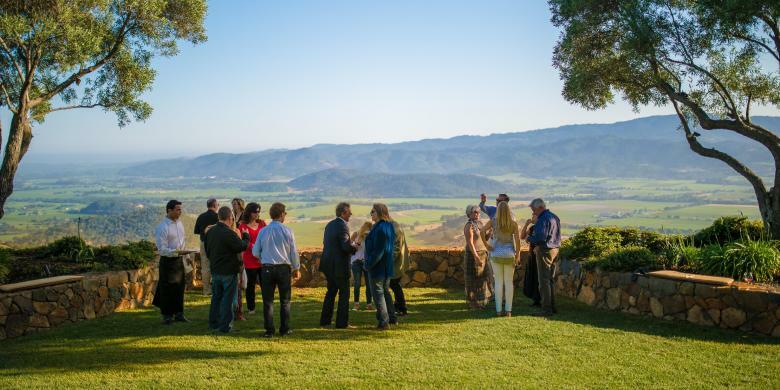 Visit Napa Valley for the perfect conference, incentive trip, social group event, corporate event or team building meeting. Unique meeting spaces create an inspiring atmosphere.